These days, you have to be concerned with your data and security. 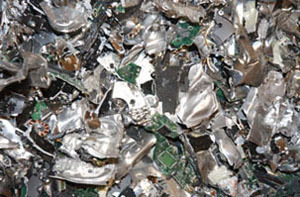 Clean Out Your Office destroys all disk data from the units we receive. During our disassembly process, we remove all disk drives. 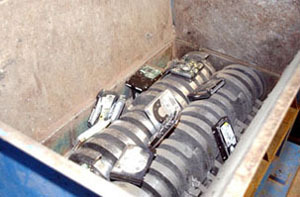 Drives are shredded and upon request, a certificate of disk drive data destruction is provided. Only with advance permission from our customers, will we wipe a small amount of higher end drives with a DOD 5220.22-M 7 pass procedure, which allows us to re-market drives and cut down customer expenses. As a result, there are no horror stories about missing customer information or data and no need for concern that data will get into the wrong hands.